Geocolor image of Hurricane Irma near Cuba on Sept. 8, 2017. As everyone has most likely heard by now, three deadly hurricanes have rocked the Caribbean, Southeastern United States and parts of the Gulf of Mexico region. Residents of these areas are struggling to find places to live as their homes are flooded or destroyed. There is hope, as seen through the countless amount of money being donated, that help from our population will allow our country to recover from the most devastating hurricanes in the U.S. since Wilma in 2005. Hurricane Harvey was the first to make landfall, hitting Texas and Louisiana from the days of Aug. 25th to Aug. 29th. Harvey maxed out as a Category 4 hurricane and is estimated to have caused between 150 to 180 billion dollars in damages according to Fortune. There have been 82 confirmed deaths according to The Washington Post. Hurricane Irma arrived just days later. After ravaging the Caribbean for days, Irma hit Florida on Sept. 10th and proceeded to impact the entire state throughout the day and night. 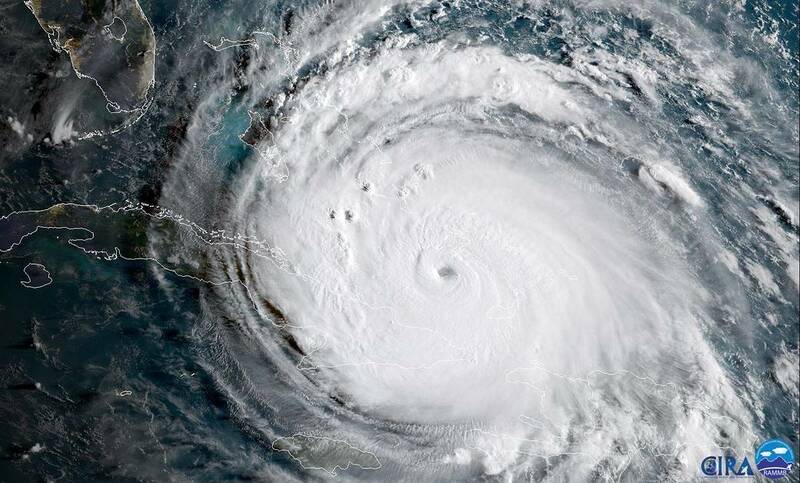 Irma maxed out as a Category 5 hurricane while it was in the Caribbean, but was a Category 4 at it’s highest while it was in the U.S. Irma has caused 50 to 100 billion dollars in damages according to Vox. Irma is responsible for 112 confirmed deaths throughout the Caribbean and United States according to Phys. Hurricane Maria made landfall on Sept. 20 and completely devastated the Caribbean and the U.S. territories that lie within. It was the strongest hurricane to hit the Puerto Rico since 1928. The infrastructure in Puerto Rico is gone, all power is down and it could take months until everything is repaired. According to CNN, Maria has caused between 45 to 95 billion dollars in damages to Puerto Rico. There have been 16 confirmed deaths so far due to Maria, however, many more are expected to have occurred but gone unnoticed so far according to USA Today. There are many ways to help aid in the recovery effort for either of the hurricanes. To make sure you are donating to a credible source, you can use organizations such as Charity Navigator or Charity Watch. Be wary of charities that seem to be new and may not be credible. You can donate online or do public service in the affected areas. Below are some helpful organizations to donate to. NFL player JJ Watt of the Houston Texans, had an initial goal of raising $200k for Hurricane Harvey relief through the website “YouCaring.” He started this goal on August 26th, and as of Sept. 13th; he has raised $37 million and accepted donations through Sept. 15th according to YouCaring. Over 209,000 people have donated money through Watt’s efforts to spread awareness and over 89,000 people have signed a petition to have a highway in Texas named after Watt. He has been essential towards the recovery effort among celebrities. If you donate to Oxfam America, this charity is putting money towards one of the more recent hurricanes, Hurricane Jose, while it works towards recovering from Irma. Houston Mayor Sylvester Turner is asking people to donate clothing, medical supplies, baby items, and food to nearby shelters. Feeding Texas is coordinating with local food banks to distribute food and cleaning supplies. The organization is asking people to drop off non-perishable food, bleach, and paper towels. Junior Spencer O’Neil had a similar situation. “I have my aunt and cousins that live in Florida and there was some flooding, but the damage wasn’t too rough,” he stated. Marinucci and O’Neil both have had their families donate money to multiple relief funds in effort to help the victims of the hurricanes. Since we live thousands of miles from the disaster sites, it would be very difficult to contribute in the form of public service, so if you want to help those affected, donate to any of the stated sources or find another trustworthy source. All help is needed and appreciated by those in need. Even if you can’t be at the location of the disasters, you can change someone’s life for the better with just a small donation.